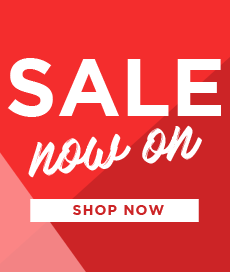 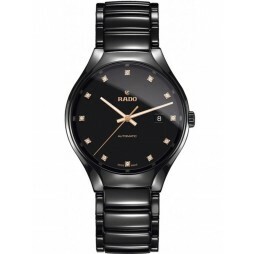 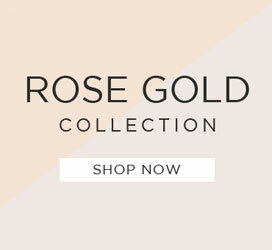 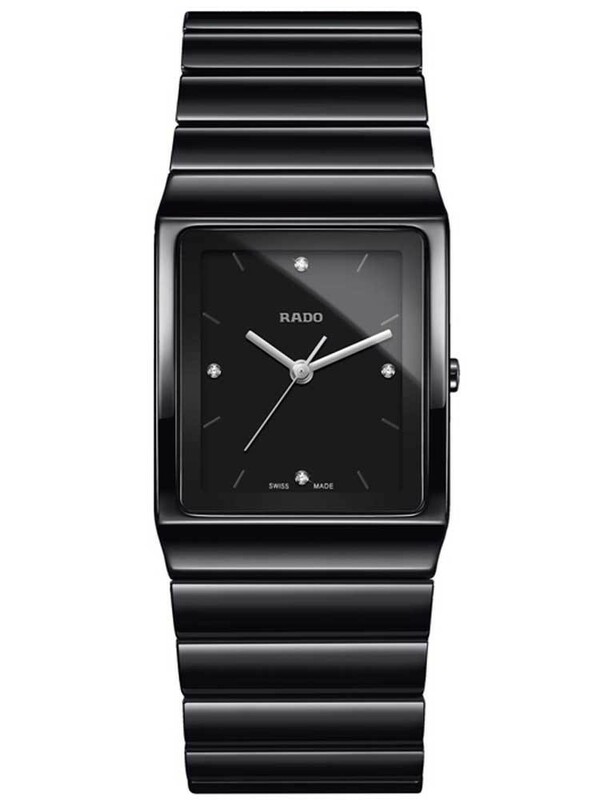 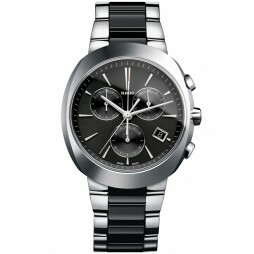 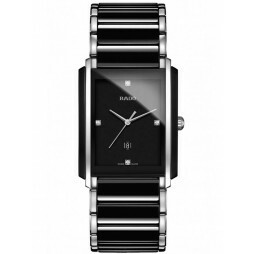 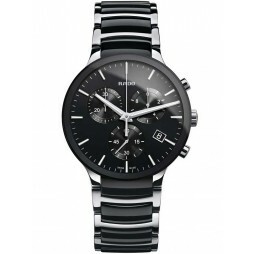 This stunning Rado bracelet watch is a glorious example of minimalist design revamped for the contemporary man. 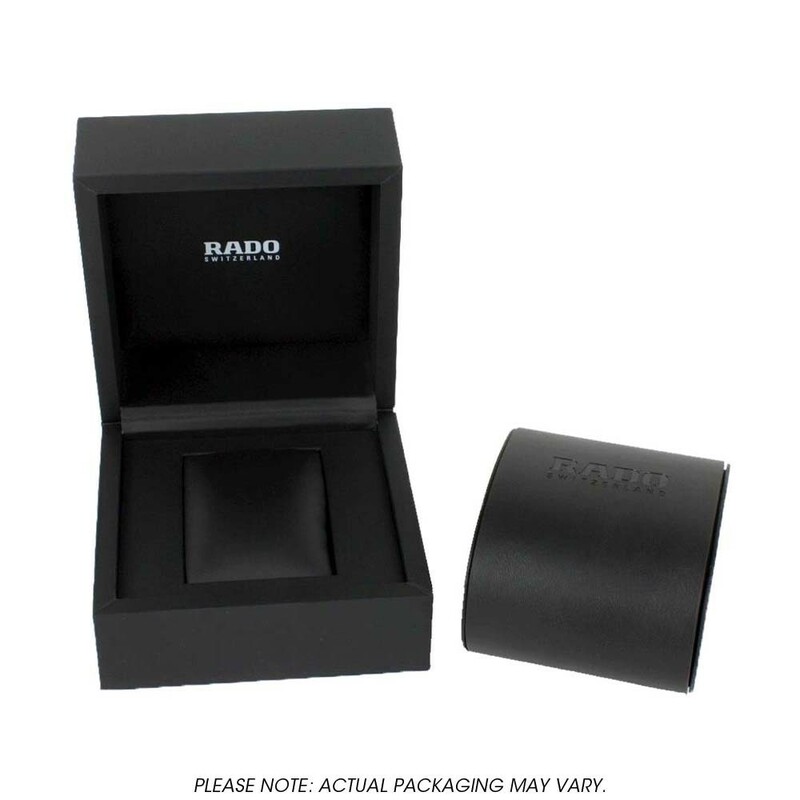 Expert Swiss craftsmanship, strong geometric shape and extravagant materials make this a handsome accessory for business and pleasure. 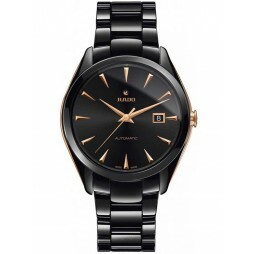 The high-tech ceramic gives a luxurious feel, featuring a black dial with radiant diamond hour markers to complete the look.